For our tutorial, you will only need to have a server running CentOS 6.7 and access to the Internet. If you do not have a CentOS server, Atlantic.Net offers fast SSD Cloud servers, up in 30 seconds. The first thing to do to install is to create your own repo or repository for which to pull the Webmin files. Once logged in the server run the below to open a new repo. Then copy the following into the file. Once done, close and save the file. You will now need to download and import an asc key and import it into RPM. We can now install Webmin via yum. 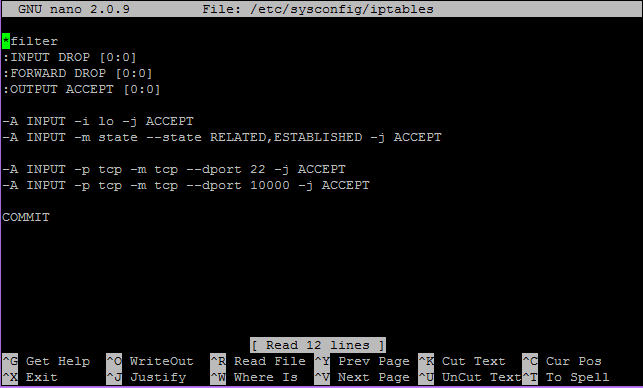 If you have an activate firewall on your CentOS server using IPTables, you will want to add a rule to allow TCP port 1000 through as that would be the port the Webmin GUI runs on. You can copy and paste the below INPUT rule to your firewall. It’d look like the below picture when done. When finished, restart IPTables so the change takes effect. And that’s it! You may now access your Webmin portal by browsing to https://Your_IP_Address:10000 and log in using your servers root username and password. When logged in, it should resemble the below. Please note it will put up a warning regarding unsecure access when going to https. This is due to a self-signed certificate on the server and is normal. Thank you for following along this how-to! Please check back here for more updates, and to learn more about our cloud hosting solutions.